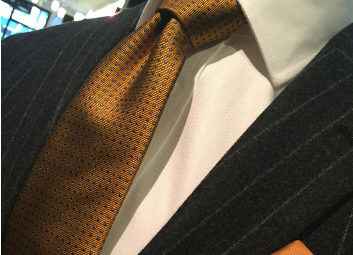 Order made-to-measure suits by Hickey Freeman and Hart Schaffner Marx along with custom shirts by Skip Gambert. Our expert sales consultants will take your exact measurements to ensure a fit like no other specifically for you. 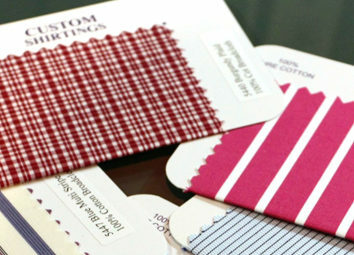 Sit down, relax and peruse our wide array of high quality fabric samples to choose fine and unique materials. If you desire extra flair, our sales consultants can assist you with various features and details, such as your choice of traditional or colorful suit linings, colored buttons or stitching, additional personalizing of the suit jacket with your name and other finishing details. Take as much or as little time as you need to create your fashion statement. 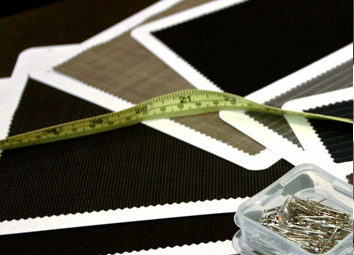 Our custom clothing is made in the USA and honors the legacy of true American Craftsmen. Appointments suggested but not necessary. Come see why 45/46 is the superior gentlemen’s clothing boutique.